True to its name, Whiskey Down features an impressive selection of more than 50 different types of rare and fine American, Canadian, Irish and Scotch whiskies along with hand-crafted cocktails and other dark spirits. 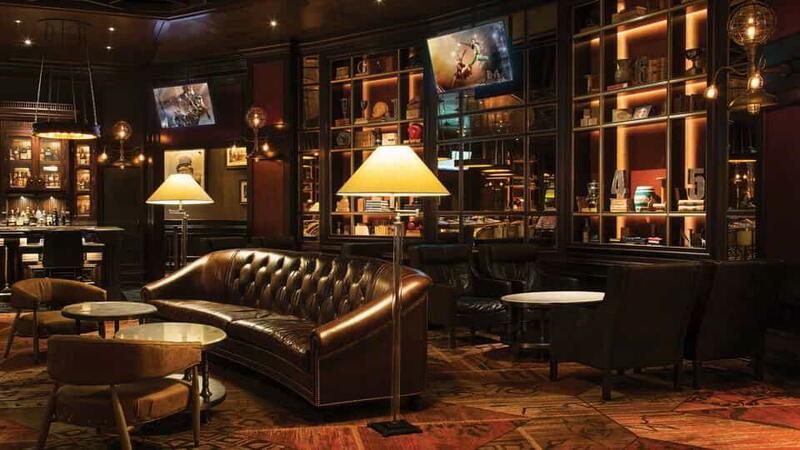 While this gaming lounge has plenty of action with three blackjack tables and seven video poker machines, the plush leather sofas and oversized chairs give it the vibe of a relaxing speakeasy with a vintage, industrial flair. A group of people having a toast at Whiskey Down at MGM Grand. Begin walking through the casino floor from the main lobby and you will see Whiskey Down on your left. Walk through The Central and walk past TAP, The Poker Room, The David Copperfield Theatre and Whiskey Down will be on your right. For corporate or private receptions of 15 guests or more, call our Event Sales Manager at 702.891.7433 or email groupdining@lv.mgmgrand.com. Age Requirements Guests must be at least 21 years old. Centrifuge is a trendy circular bar and lounge with hand-crafted cocktails, progressive music and an ultra-modern, metro vibe. 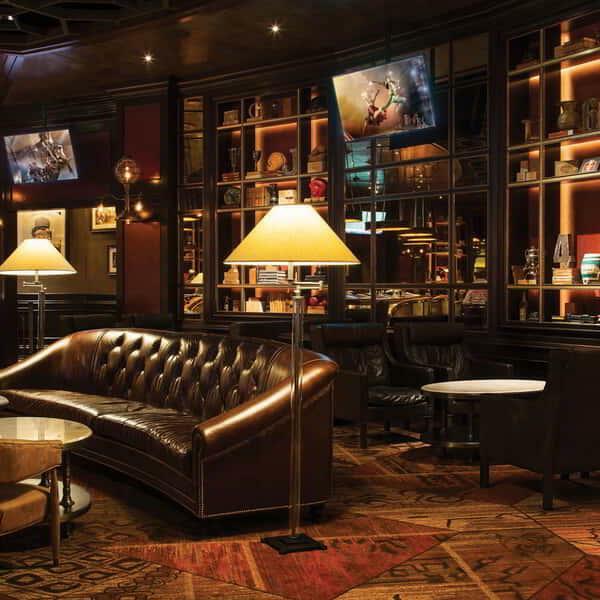 After you’ve checked into the MGM Grand, check out the Lobby Bar. This casual bar has an extensive cocktail list of classic and trendy drinks.